The Client: NetScout Systems, Inc.
NetScout Systems is the market leader in Unified Service Delivery Management solutions. Their primary mission is focused on assuring service delivery for the world's most demanding and complex service delivery environments. With more than 25 years of technology innovation, NetScout continues to lead the performance management market and has dramatically changed how enterprises and service providers optimize and protect service delivery to end users and subscribers across modern IP networks. NetScout has been a client of Shanahan's for over 6 years. Our first project together was a simple installation of projection equipment. The experience was very positive, so as NetScout's needs evolved, they turned to Shanahan to provide them with additional audio/visual needs. The complexity of the Shanahan installs grew with Netscout. With their growth as a worldwide company came new challenges that we were happy to create solutions for. We strive to keep Netscout on the leading edge of technology and provide them with service, solutions and designs that let them be the market leader they are. One of our most recent installations was a digital signage system with displays in three separate locations with the ability to add upwards of ten more display locations in the future. "Because we are a high tech company, it is extremely important that we deliver the latest and the greatest technology to our clients. Shanahan takes a hands-on approach, assesses our needs and discusses both the pros and cons of each solution. From design to implementation, we know we can trust Shanahan to deliver a stable solution that has been proven to work and not simply deliver the hottest new item on the market." NetScout has 1000 employees, over 70 of who are located in facilities from California to Italy and India. As the company grew, it became more difficult for the company's multiple locations to communicate and interact without the cost and time of air travel. As part of the solution, Shanahan installed a video conferencing system that connects NetScout's employees worldwide and makes it possible for them to discuss projects and communicate seamlessly with each other. Several conference rooms received technology "make-overs" to provide Netscout the capability of conducting numerous meetings and presentations at the same time. 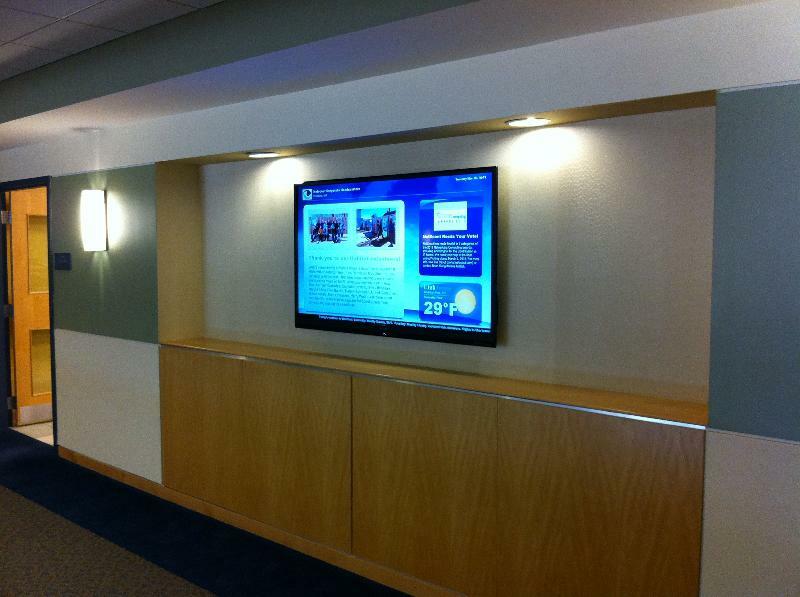 Shanahan also installed audio visual displays that employees use to create a visual environment for its engineering projects. The installation of video conferencing has reduced employee travel time and has increased employee productivity. Company travel expenses have been considerably reduced. Communication among various departments within the company has greatly improved, and there now exists a more cohesive, efficient working environment. The new audio visual displays help prospects and clients better understand the scope of a project, and employees are better equipped to complete projects more effectively. It is now easier than ever to share documents and work collaboratively on a shared whiteboard. "What I like about working with Shanahan is that they are very competent and really understand technology. They aren't just installers. They deliver a complete solution. We will continue to rely on Shanahan Sound as new technology becomes available."